He was a smart kid, good at math. Maybe he would be a marine biologist, or an architect. But ultimately, he turned to his first passion —art. And it didn’t take him long to make a distinct impression. One of his finest achievements to date is a solo showing in the highly regarded Tilton Gallery NYC. Thames’ art reflects his exceptional commitment to telling the story of the African-American experience. 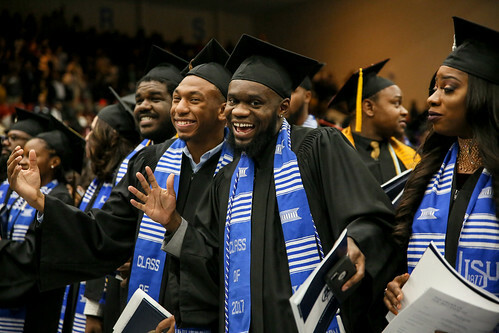 “Since I left Jackson State, I’ve really been focused on like three or four major topics that directly affect the African-American population,” said Thames, who earned his Bachelor of Arts in painting in 2008. Masculinity, the prison industrial complex, and the commodification of black bodies in pop culture all serve as motifs in his work. Thames credits the late James Patterson, an art and commercial photographer from Jackson, and Charles Carraway, a longtime JSU art professor, for making a significant impact on his life and work. Thames, who attended Jackson Public Schools before coming to JSU in 1993, planned to major in industrial technology and then transfer to a school with an architectural program. However, after one semester and a very intense conversation with his father about financing his education, Thames decided to major in what was his first true love —art. After a couple of years, however, the creative grew uncomfortable with his college progress. His debt was beginning to accumulate, and he didn’t want his school loans to balloon. So, he left school with the intention of saving some money. Art, however, remained his focus. He taught students at the Mississippi Museum of Art in conjunction with Jackson Public Schools, and while bartending at some of Jackson’s most popular restaurants and pubs, he also worked as a freelance graphic designer. Ultimately, he returned to JSU to finish his art degree as a promise to his dad, who was suffering from terminal cancer. He then went on to earn his Master of Fine Art in painting and printmaking from Yale University’s School of Art in 2010. Today, Thames has an art studio in Woodbridge, Connecticut, and also works as an art critic for the Rhode Island School of Design. His wife, Michele Irving, is a physician and together they are raising twins, Meaghan and Miles.